Houseplants add a splash of colour to any home; they’ve also been proven to purify the air in your home or office and can have positive effects on your health! Don't delay, come and get a houseplant today! 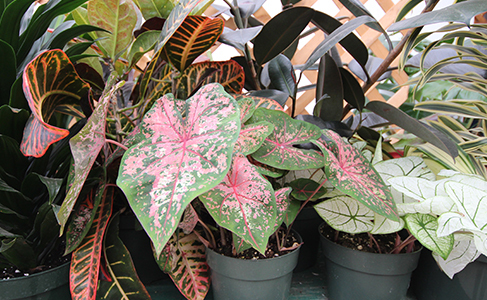 Because of central Alberta's unpredictable weather, it can be difficult to grow tropical plants out-of-doors, but that doesn't mean you shouldn't own one! Tropicals make wonderful houseplants and can add a touch of eye-catching beauty to your home. Read below to see what we have available!